Recently, my boyfriend and I went to visit some friends in Ohio and while I had already planned on baking them some special cakes, they were definitely hinting that they wanted some as well. After thinking long and hard about what I should make them, I decided to stick with a coffee flavored cupcake, which turned out wonderful. Oh, and I also got to try out my new cupcake corer! Hopefully these cupcakes keep you buzzin with caffeine throughout the day! Slowly pour room temperature caramel syrup into bowl. Scrape down bowl and increase speed. Add eggs, espresso grounds, and vanilla extract a little at a time, mixing well with a wooden spoon after each addition. Scrape down bowl again, beat mixture until light and uniform. Add 1/2 cup coffee and 1/2 cup milk together. Turn mixer to lowest speed, and add one third of the dry ingredients. When incorporated, add half of the milk/coffee mixture, a little at a time. Add another third of the dry ingredients, then the other half of the milk and finish with the dry ingredients. 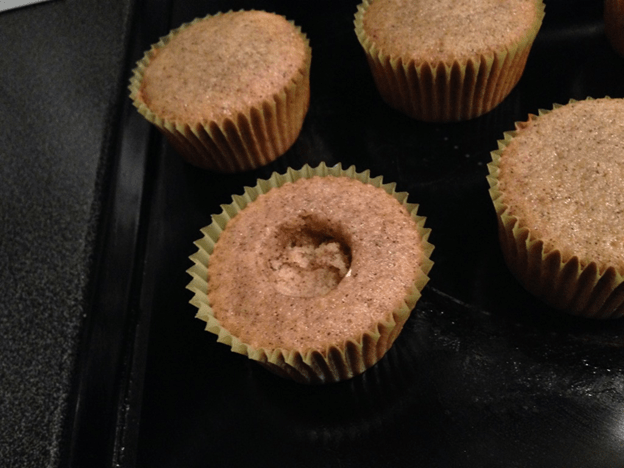 bake for 20 minutes or until the tops are slightly brown and a toothpick has been inserted in the middle and comes out clean. Pour the heavy whipping cream and sugar, and caramel (feel free to add more if needed) in a mixer with a whisk attachment and beat on high until light and fluffy (about 2 minutes or so). 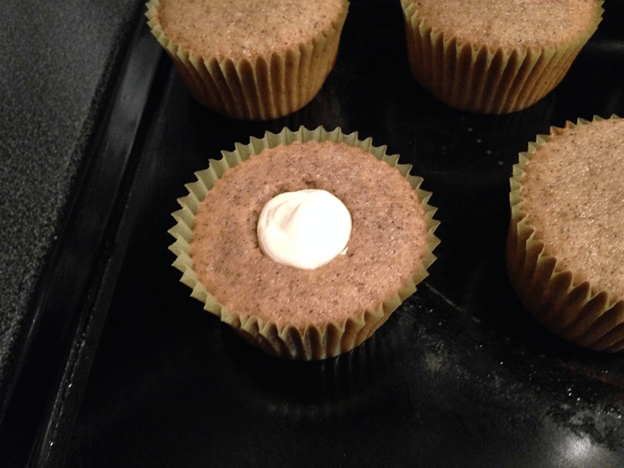 Use a cupcake corer or a knife and gently cut a hole on the top of the cupcake and fill in with the whipped cream. Beat the two sticks of butter on high for 1-2 minutes and then on a low speed add the confectioner’s sugar one cup at a time. 3. 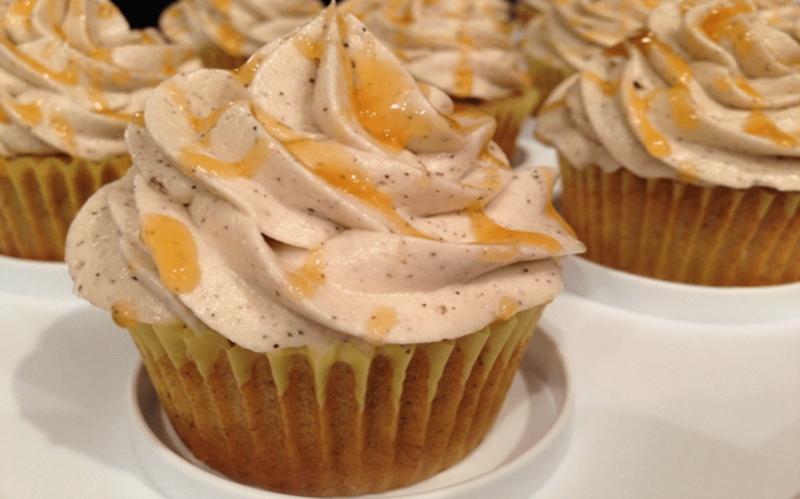 Decorate the cupcake with frosting and top with caramel drizzle.